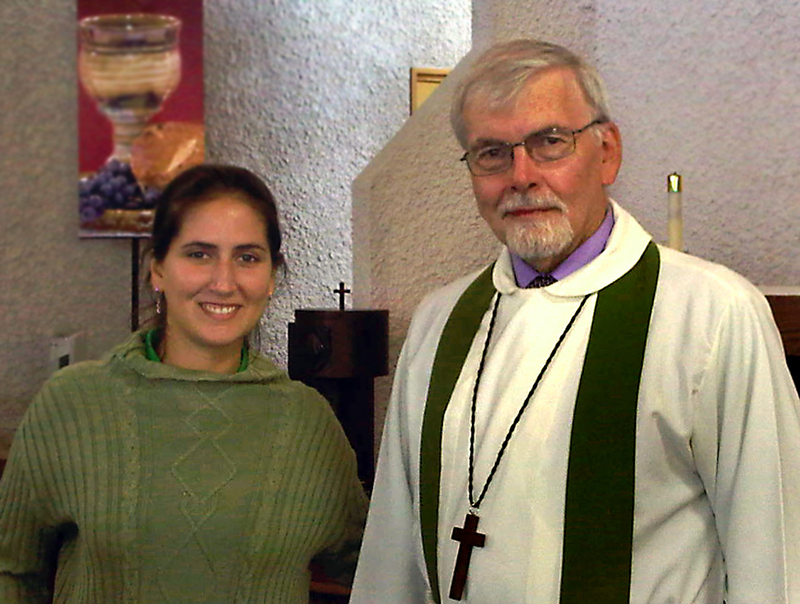 WINNIPEG – For members of Beautiful Savior Lutheran Church, Sunday, September 12 brought many blessings. The Sunday morning service began with the baptism of Julianna Rivera Alves, one of about 20 adults, inquirers and members who attended a Good News Class conducted by vacancy pastor Rev. Dale Mohr. From the class, the Lord added two adults to His family by baptism and another two joined the congregation through confirmation. September 12 was Pastor Mohr’s last Sunday service at Beautiful Savior because the second blessing of the day took place Sunday evening. 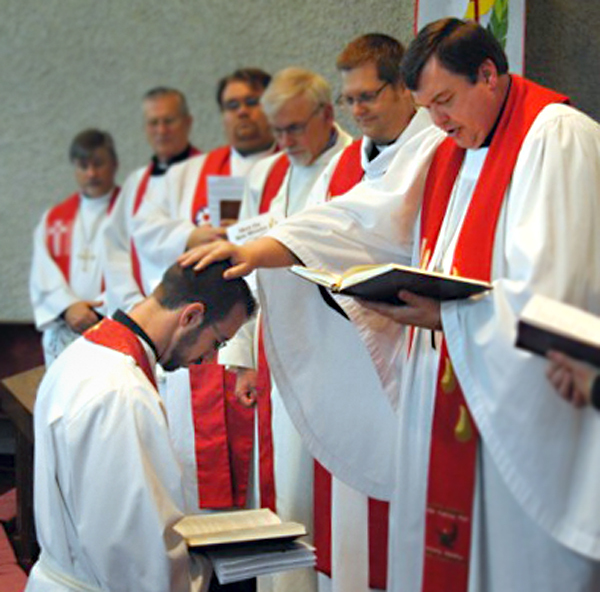 The 42-year-old congregation installed and welcomed Rev. Cameron Schnarr, only the third pastor to serve Beautiful Savior. Before the service more than 150 members, friends and guests gathered in the church basement to share a meal. Central District president, Rev. Thomas Prachar conducted the Rite of Installation and ten pastors from across southern Manitoba conferred God’s blessing on the new pastor by quoting a verse of Scripture or word of encouragement. Beautiful Savior is Pastor Schnarr’s first parish following his graduation from Concordia Lutheran Theological Seminary in St. Catharines earlier this year. 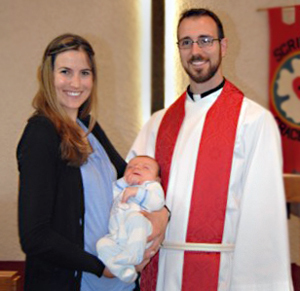 His ordination took place May 30 at his home congregation, Pilgrim Lutheran Church in Hamilton, Ontario where his father, James, is the pastor. In July, Rev. Schnarr and his wife Andrea, a physiotherapist, welcomed son Caleb. The congregation receive a third blessing when members learned that Beautiful Savior Lutheran School’s enrolment is at its maximum with 110 elementary school students and 50 children in nursery school programs. Established in 1983 as a nursery school, the school now teaches children up to grade 8 and is a vital outreach mission of the congregation.